Newcastle North MP and Chair of the All-Party Parliamentary Group on the East Coast Main Line, Catherine McKinnell, has today warned that any benefits of recent investment in the East Coast Main Line will be lost if more is not done now to deal with current problems of reliability, capacity and quality on the railway through the North East – as well as to make the route ready for high speed rail (HS2). ‘The letter the Department for Transport sent this month to the Public Accounts Committee suggests the East Coast Main Line’s problems have been solved, when they are only going to get worse if we don’t see significant further investment to deal with the fact there is only one congested track in each direction most of the way from Newcastle to York. ‘We must not allow the North East’s economy to be damaged by a congested and unreliable railway that anyone who uses it regularly can tell you is already struggling. We face the threat of direct services from Newcastle to other northern cities being axed from 2021 to make way for trains to London, and that trend will only continue unless we invest to allow more and faster trains to run. If the Government expects future high speed trains to travel north of York on our existing ageing tracks it is selling our region short. ‘Business, combined authority leaders and MPs across the North East are rightly concerned that, without urgent investment in the next few years, high speed rail risks harming our region rather than benefiting it. 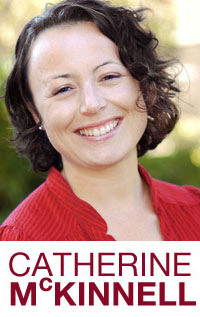 Catherine established the All-Party Parliamentary Group on the East Coast Main Line last year, to campaign to secure investment in the route, to improve passenger experience, capacity and reliability, and for shorter journey times. She secured a debate in Parliament on East Coast Main Line investment back in October, including on the need to ensure the route north of York is HS2-ready. This month the North East Local Enterprise Partnership and the new North East Joint Transport Committee, which co-ordinates transport policy for Tyne and Wear, Durham and Northumberland, sent a joint letter to new HS2 Chairman Allan Cook urging the Government to make significant investment in the East Coast Mainline to ensure it is HS2-ready. 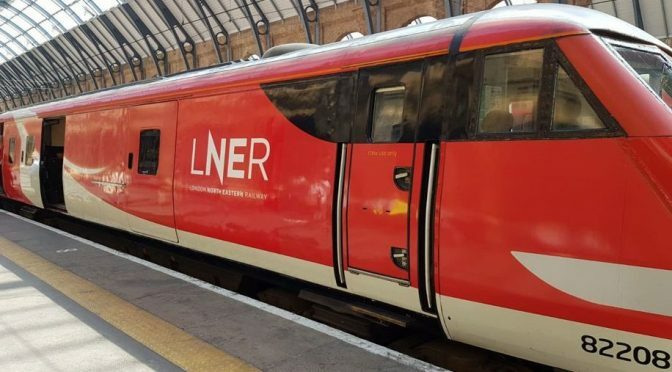 Council chiefs and the LEP want to see a single plan developed that will upgrade the East Coast Main Line between York and Newcastle so that it is HS2-ready by 2033, when HS2 is expected to reach Yorkshire and the east of England.